Wearing this Stormtrooper authentic costume is much safe than enlisting in the Galactic Empire’s forces. Star Wars has taught us that those guys are just blaster fodder. 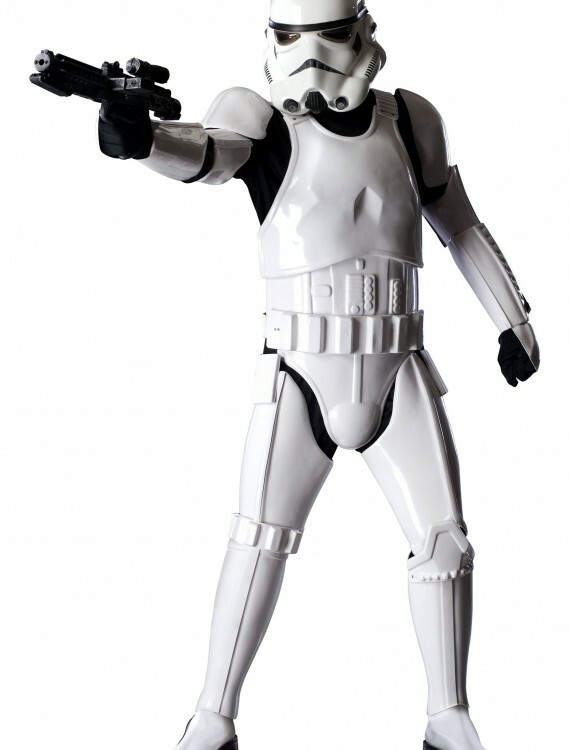 SKU: 503356499 Categories: Adult Halloween Costumes, Deluxe Men's Costumes, Halloween Costume Ideas, Men's Halloween Costumes, Men's Star Wars Costumes, Plus Size Halloween Costumes, Plus Size Men's Costumes, Star Wars Costumes, Star Wars Plus Size Costumes, Stormtrooper Costumes. When you enlist in the Galactic Empire’s Stormtroopers, not only do you get a sweet suit of armor, but you’ll also get to travel to exotic locations like the Second Moon of Endor, Hoth and Tatooine. You’ll get to use a blaster and feel like a big shot and you might even get to take on important missions for the Empire, like guarding the newest secret space station. The only real risk is that you might become blaster fodder for the Rebel Alliance and the armor that is provided seems to have a slight weakness against rocks and boulders. But hey, no risk, no reward, right? At least the armor makes you look cool while you’re getting totally owned by Ewoks. ATTENTION CUSTOMERS:This product cannot be shipped in its original box to Australia, Canada, Great Britain, Guadeloupe, Israel, Mexico, New Zealand, Russia, Singapore, Italy, Lithuania, Slovenia, South Africa, Taiwan, Thailand or Ukraine.